Unlike many miniature breeds that resemble their larger counterparts, this breed was not developed simply by selectively breeding the Rough Collie for smaller and smaller size. The original sheepdog of Shetland was a Spitz-type dog, probably similar to the modern Icelandic Sheepdog. This dog was crossed with mainland working collies brought to the islands, and then after being brought to England, it was further extensively crossed with the Rough Collie, and other breeds including some or all of the extinct Greenland Yakki, the King Charles Spaniel (not the Cavalier), the Pomeranian, and possibly the Border Collie. The original Spitz-type working sheepdog of Shetland is now extinct, having been replaced for herding there by the Border Collie. The Shetland Sheepdog in its modern form has never been used as a working dog on Shetland, and ironically it is uncommon there. When the breed was originally introduced breeders called them Shetland Collies, which upset Rough Collie breeders, so the name was changed to Shetland Sheepdog. 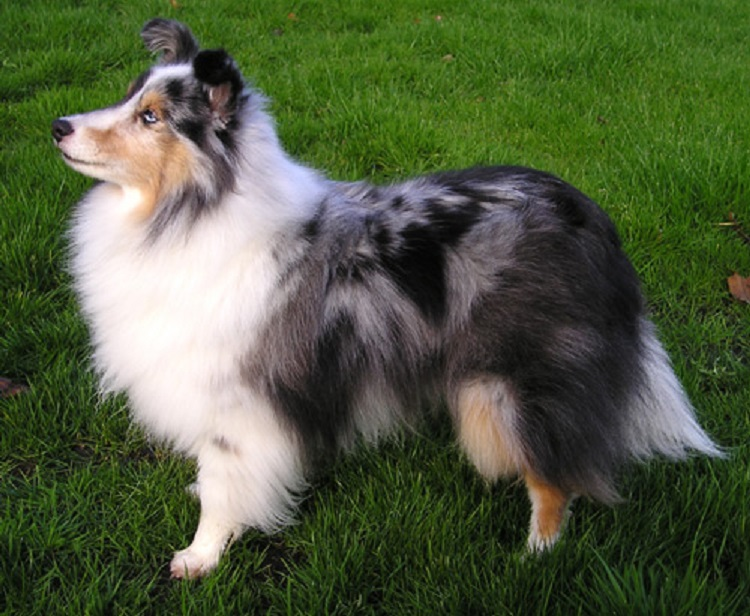 During the early 20th century (up until the 1940s), additional crosses were made to Rough Collies to help retain the desired Rough Collie type - in fact, the first AKC Sheltie champion's dam was a purebred rough Collie.